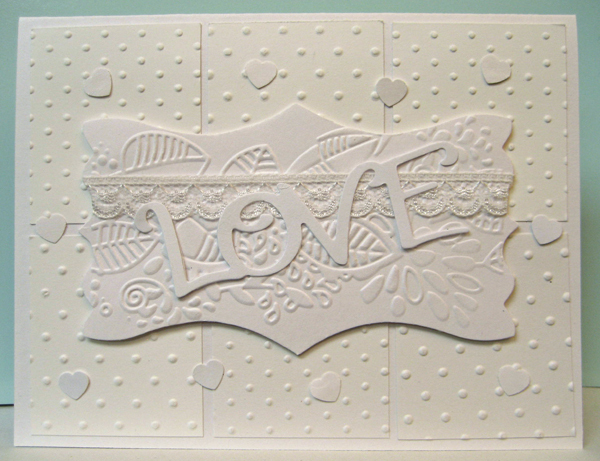 You will find all sorts of inspiration on Splitcoast Stampers for white on white creations!!! I have admired them all for quite a while and have made a few attempts but have not managed an all white one!! I started with a white card front and added six little embossed rectangles that were sitting on my desk. They are a bit warmer white than the card which added some contrast right off the hop!! 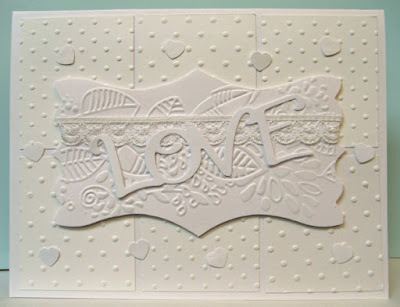 I wanted a large embossed central element so I went looking through my embossing folders and found this border one which I have not used very often so I embossed a rectangle of white cardstock with it. It seemed a bit boring to just have a rectangle so I dug out my TH edge die (not used very much) and cut the top and bottom using one edge and the left and right using the other. That worked out better than I had expected!! The "LOVE" die cut (SX) was sitting on my desk from Christmas cards and I thought it would make this into a lovely anniversary card but I felt it needed a bit of something below it so I dug through my lace stash until I found this nice small lace with scallops. Perfect!! 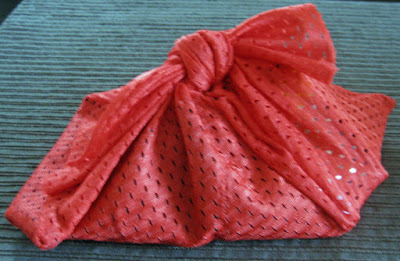 It is a bit satiny so adds some luxuriousness to this focal element which was just what it needed. I cut a piece and glued both ends to the back using double sided tape. To adhere the die cut over it I used a few spots of white glue applied with a fine tip applicator in strategic areas and then gently laid it in place and added just a slight bit of weight and left it to dry. I mounted the focal element to my card front using 3D foam tape and thinking that it needed just a little bit more I added the tiny white hearts all the way around. I am super happy with how this card worked out and I look forward to challenging myself to white on white again! !